Spring, the element of water and representative of the peak of childhood, as well as innocence, newness, adventure and joy. Her face is a combination of my oldest and youngest daughters, Amanda and Ember (Taryn has a much thinner, more cat-like face). The inserts show close-ups of her face and wing. She was the last piece and completed the series quite nicely. 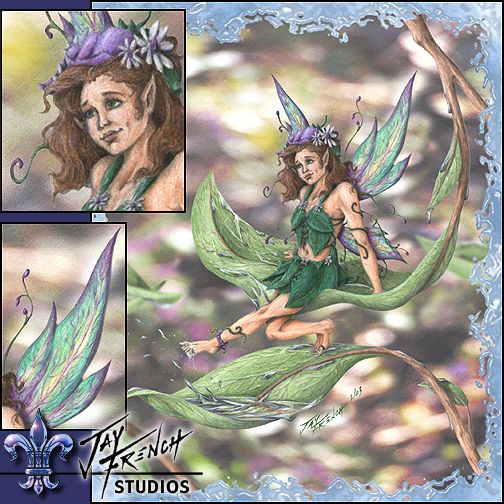 Click the image to view merchandise with "Spring Faerie"